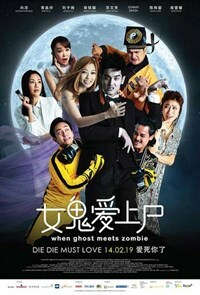 Singapore’s first ghost-zombie romance comedy! The movie tells the story of Pong (Nathan),who turns into a zombie when saving his town from a disaster. He led a mechanical and aimless life until a female ghost named Zhen Zhen (Ferlyn) came into his life. Zhen Zhen, whose pet phrase is “If you have no dreams, you are no different from a walking zombie.” believes one should live life to its fullest. Hilarious drama unfolds when Zhen Zhen possesses Pong to fulfill her pageant dreams and forces him to join a “Mr Perfect” competition.